The practice has become so common that many women don't even consider it harassment - many consider it a mere annoyance, a necessary evil in the modern cyber quest for love. 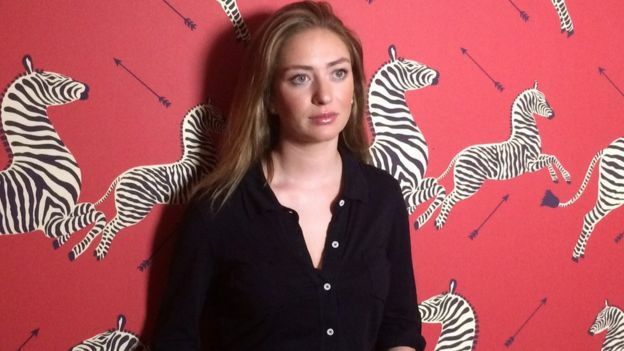 Whitney Wolfe, a co-founder of dating app Tinder, says she wants her new company to disrupt the sector, and cut back on the amount of online harassment directed towards women. "In every other facet of a young woman's life we are owning our worlds in a very independent way," Ms Wolfe says from her hip, co-working space in Austin, Texas. "We work, we create, we support ourselves, and it's encouraged to do so. The only thing that hasn't caught up to that is how we date." 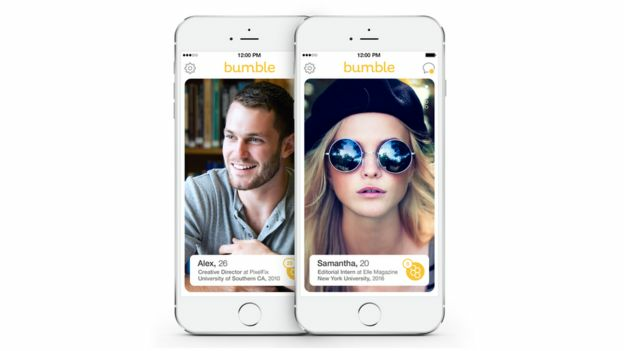 The 26-year-old entrepreneur founded Bumble a year ago. She says the restrictions in the app which block men from driving the conversations are pushing social change. The word feminism has been co-opted and contorted, she says, but "what it really means is equality between men and women". When women make the first move, she says, men are often flattered and behave much more politely. In the world of dating apps, Ms Wolfe is famous for co-founding and then being ousted from Tinder, the wildly popular dating tool that first started in 2012. She then sued her fellow co-founders last year for sexual harassment. Ms Wolfe refused to discuss details of the case with the BBC, but she maintained her "co-founder" status, and she reportedly received about $1m (£650,000) when the lawsuit was settled with no admission of wrong doing. Maintaining the "founder" title is important. 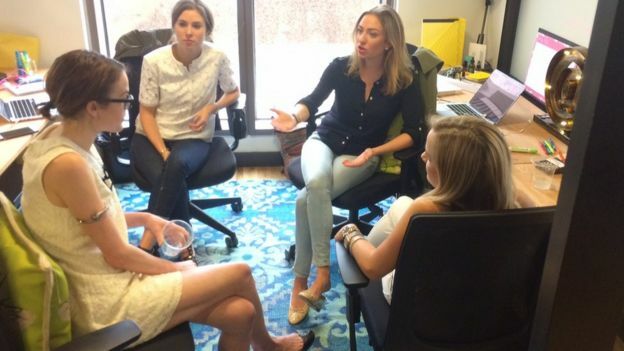 Female founders and chief executives are rare. Fewer than 3% of venture capital-backed companies are run by women, according to a 2014 study by Babson College about bridging the gender gap in entrepreneurship. "Only a small portion of early-stage investment is going to women entrepreneurs, yet our data suggest that venture capital-funded businesses with women on the executive team perform better on multiple dimensions," the report's author Candida Brush said when it was released. "The venture capital community, therefore, may be missing good investment opportunities by not investing in women entrepreneurs." Ms Wolfe says it's important for women to feel empowered in dating as well as in business, where women too often "hesitate" to start their own companies. "Sometimes there's this hesitation involved with women" when it comes to starting businesses, she says. "There's this hold back there, and until we break the mould - and there are positive examples set, and it's something that is achievable - I don't think we're going to see much of a change." Siren is a dating platform made by women and marketed to women users. It allows women to control their visibility, so they can block their profile from other users. For example, some users only make their profile visible to social media contacts. How pervasive is harassment online? A Pew Research Centre report in 2013 found that 28% of online daters have been harassed or made to feel uncomfortable. One online dating user, Mandy Tugwell, says she removed her online dating profile from a mainstream dating site after she got naked pictures of men, and was repeatedly asked if she was into sexual fetishes. "I was like, OK this isn't going to work," she says. "I got really creeped out." But Ms Tugwell did find a serious relationship on a niche dating site targeted at black women and Asian men. Ms Wolfe says the crowded field of online dating and social media networking sites isn't intimidating. Tinder is a juggernaut, and there are dozens of other niche sites to choose from, she says. Finding love and connections is "a huge, huge need" she adds. "It's part of who we are as human, to date and find people to share time with. "I don't think we need to compete with anyone. I think we can be a standalone entity that is trying to fill a void. "It's a unique mission. I'm happy to compete in a field that's crowded."